Work for NetApp Backup and Recovery? Although the cost can be high, the storage is very sound and provides us with what we need I would recommend this to any one looking for enterprise storage. I have been using NetApp Backup Recovery solutions for some time now. It has benefited us in more way than one. We tons of Media to be captured and backed up, this solution was key for our business. The recovery solutions to safeguard our critical data. Drive operational efficiencies by reducing backup time, improving data recovery, and cutting infrastructure, tape, and administrative costs. The use of Snapshot™ and replication technologies to simplify virtualization and big data management was key. There are more good than bad in using NetApp Backup Recovery solutions, but my standpoint, I have none. Some problems that we are solving are r/w speeds, bandwidth access, data retention, etc... The benefits that we have realized is that by creating disk-to-disk backups in native format is a pulse for us..this allows for reduced backup times and with data de-duplication, at time able to save on disk space. "Management of NetApp Backup and Recovery needs more work." I have used NetApp backup and recovery for several years. I like using the Snapshot/SnapMirror technology. It is very reliable and I quit using tapes because I used SnapMirror between two datacenters. There is not much reporting associated with the built-in snapshot technology. NetApp protection manager is too difficult to try to use. But it is still not as bad as SnapProtect. If we were talking about SnapProtect, I would say that I don't like any of it. Will Snapshot and SnapMirror meet your needs? This is the right choice. I am able to restore individual files to within the last hour on CIFS and NFS volumes. This is a big win for IT when you are able to rescue a file for individuals quickly. Restores of virtual machines is also very quick. Remote sites can be administered remotely with ease and automatically. The efficiency of SnapVault, enables utilization of low bandwidth connections. Use of the VSC makes the protection of a virtual environment an easier task. The integration of the SnapManager products with VSC give a consistent portal when used with Operations Manager. You have to ensure that retention schedules are followed and be able to troubleshoot from the bottom up. System manager helps with this task, but it takes discipline and routine to follow. backups, minimal bandwidth is required, which allows a more consistent experience with remote and branch offices. These are NetApp Sweet tools. Replicating data from one NetApp filer to another filer or from one NetApp Cluster to another using their snapshot technology is how NetApp does it backup. Replicating data using snapmirror to a dr site as a solution for disaster recovery. Using snapvault to backup a volume to secondary filer with denser, cheaper disks to keep the data for a longer retention requirements is easy and fast. The tools does what they are designed to do and it's working great. It would be nice if data replication between 7-mode to cluster is as simple as going from 7-mode to 7-mode. For example of replicate a volume from one filer to another using a particular snapshot, and then perform a volume restored base on a snapshot on the destination filer. I would also test other storage vendor that also provide the same snapshot technology and replication to see if it fit with your requirements and future plans. Data replication is fast after the initial full copy. In case of a disaster, your data is protected and online at a dr site. There are work needed to be done to have the secondary site replace the primary site if the primary site is down. 3 year warranty, Clustering capabilities, reliability, and ease of use. OnCommand System manager very solid. NetApp's Integrated Data Protection technologies not only protect customer data and accelerate recovery, but also integrate with leading backup applications such as SnapVault Software, OpenSystems and SnapProtect Software, for easier management. Customers moving to a cloud infrastructure struggle to manage their data freely across both private and public clouds. The FAS8000 series addresses this challenge by enabling enterprise customers to flexibly and efficiently manage and control their data through a single storage and data management platform.his suite of industry-leading management products unleashes the power of the clustered Data ONTAP® storage operating system, to help maximize system utilization, meet storage SLAs, minimize risks, and boost performance. Used the OnCommand portfolio’s intuitive graphical user interfaces, automation, and integration to simplify data management of our on-premises and hybrid cloud environments. NetApp's training has also been very good. No problems as of yet. Service and support have been exceptional. NetApp's product, service and support in unparallelled. Faster, more reliable scalable storage was needed by the customers I work with. Cloning is awesome. SDK very useful and complete. "Experience with the full product suite of backup and recovery for NetApp"
The B/R applications are very intuitive. NetApp has hooks into the application it is backing up so that you not only get the efficiency of snapshots on the backend storage but the application can truncate logs because it is application aware. Snapmirror replications makes DR possible and easy to setup. I have not run across anything that really stands out as a dislike regarding NetApp backup and recovery options. Use the applications anywhere and everywhere you can. They are worth the time to deploy and make management of snapshots a breeze. I have effectively removed the reliance on tape backup by utilizing local snapshots, snapmirror replications for offsite backups, and snapvault to keep retention for archival purposes. The backup window has been reduced exponentially. The ease of use and confidence in the product has brought a "set it and forget it" attitude for backups. Recovery times are decrease and couldn't be easier. "Simplify backup and recovery while dramatically improving service levels"
The NetApp solution has significantly enhanced the backup and recovery speed. Our backups can now be performed four-five times faster, eliminating the risk of backup delays. We also have seen better performance in data recovery, which is even more important than out traditional backups. Nothing so far. Everything promised has performed as specified. At the remote sites, we no longer need an administrator to run backups—it’s all done automatically with SnapVault back to Las Vegas. And again, because of the efficiency of SnapVault, we have been able to utilize existing T1 and higher connections. Infrastructure backups, Time savings across the board which permits resources to be utilized in other areas where needed. "Great snapshot and backup integration with many enterprise apps! " NetApp Snapshots lightning fast, great backup schedule with snapshot retention, fast and easy to use end user interface. You must follow the BPG (best practices guide) otherwise snap based backups will fail! Get trained and train your end user DBAs on this software, get Platinum support from NetApp, read all IAGs and BPGs and engage NetApp PS for the implementation. Quick backup and recovery time, cloning of prod databases to lower environments, quick restores. "Easy and Nice GUI based Backup"
The GUI is very nice and easy to understand even for someone who's not used to of using NetApp Backup solution. It's very slow. When you click something on the GUI, it takes lot of time to process the request. Moreover, some packages have lot of dependencies when installing on Linux. Try this in presence of vendors from NetApp first. You might need to understand some basic stuff before using it on your own. As compared to Symantec Backup, NetApp backup solution is easy to use. to keep the data for a longer retention requirements is easy and fast. The tools does what they are designed to do and it's working but would like to see more improvement in replication. 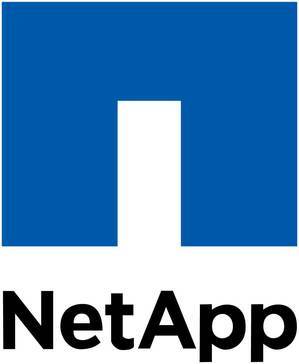 --Netapp provides excellent Customer support from Start to finish! In my opinion, the best of all the storage vendors. Their hardware and software is very reliable and easy to upgrade. --SnapMirror! An easy and cost effective way to backup your data to another set of local disks and then move your data off-site. Awesome Tool. --NetApp being an all in one product is a plus (SAN & NAS - Plus all Protocols - FC\FC0e\NFS\CIF\iSCSI). This provides excellent cost savings - in man-hours, data center costs and space savings. The built in efficiency tools are included in the equipment purchase - No A-la-Cart type purchases to run up coasts your bottom line costs. --NetApp tools utilize JAVA - this is very painful - as different products, require different Java versions - very annoying!. --NetApp provides some excellent tool sets, however, there are too many of them. It would be great if some of these tools could be folded together. One or two tools to monitor the environment. --Snap Protect (OEM Commvault) is very cost effective, but doesn't scale out well. The product is fairly easy to install\set up, but hard to scale out. This product needs better integration into existing environments. Ensure you understand your existing infrastructure and Business requirements before you make ANY decisions with Storage and\or Backup and Recovery infrastructure. Ensure you deploy a solution that best fits your existing infrastructure and future plans. Fold into your network, vice tear down and rebuild! Data growth is out of control and IT budgets are not keeping pace. I am trying to ensure that Storage engineers control their data vice letting the data control them. Leverage data efficiency at all times (Dedupe, Thin provision, link clones etc). Use of NetApp Cluster mode is also an excellent way to get off the IT Refresh cycle. Once your running a clustered environment you no longer have to do expensive data migrations when it's time to retire an old system. You can do Non-Disruptive Upgrades of Hardware and Software. You can now grow your storage infrastructure both horizontally and vertically. "Snapshot are the best for quick data recovery." Quick recovery with no reliance on tape. Limited to only 256 snapshots per volume. Snapshots are taken and stored on the same volume, if users delete large amount of data without coordinating with the storage team, it could cause the active file system to run out of storage and lead to an outage. Quick data recovery. Users can restore the data themselves without waiting for tape restore and creating tickets. "Great underlying technology, but could use a catalog and a good centralized management interface"
Very efficient snapshot and mirroring technologies. This helps taking more recovery points without affecting storage performance and capacity. It also has wide range of applictions supported. So for a app development or a dba its reduces a burde on running frequent dumps. Depending on what you are using, it becomes very complicated to manage. There is no centralized catalog or an easy to use single pane of glass management. FlexClone is a great technology, but without a catalog and an orchestration layer it makes it very difficult to use. Leveraging the storage for different workloads and different environments. My goal is to utilize the copies for spinning up DR environments and provision data to test and development. Ease of management and proved technology. Snapshots are very useful and do not take much space. Backups are instantaneous. Tools are not up to speed with command line. They are very corky and need a lot of development. Some other tools require too much work and setup, to the point where a dedicated person is required to manage the tools. Retention and archiving. Be able to take backups very fast and restore just as fast also be able to enable users to do the restores themselves cutting down in administration staff time. "DBA uses netapp back up"
"i have arround 3 years experiens with Netapp"
provides cost-effective ways to store a larger volume of data while cutting down power and cooling costs considerably. Restoring data from tape takes a long time. Using Thin Provisioning to streamline storage provisioning to “on demand” provisioning. Reduced data space consumption with data Deduplication. Space saving data FlexClones for development, testing, rapid virtual machine deployment and disaster recovery. "Great and simple snapshot technology product.."
Vendor Agnostic Data protection solution. "Reliable, cost effective, easy to administer"
Online data protection consumes resources, such as disk space, that can otherwise be used for everyday activities. Online data protection is physically vulnerable. Storage systems and disk shelves are vulnerable to physical catastrophes. "Reliable storage but speed need to improve"
Reliable production. I have been using Netapp for more than 18 years and I have never experience any data corruption. Netapp Performance is getting slower compare to competitor. Need to have larger NVRAM to boost performance. Need to store lots of application log files and manage them on Netapp is easy. Small sites where NAS appliance is present would utilize it as Backup eliminating the need to deploy another Backup solution. Also uses Volumes snapshot and can snapmirror to Remote sites for DR. Very limited and complex process to restore entire Windows Server if the server to crash and need to restore using Backups. Small remote sites can use it to back up small number servers and backup can be replicated to DR site easily. Eliminates the need to deploy a Backup solution at small remote sites. "Netapp Backup and Recovery "
You need to make sure that space reservation and snapshot cleanup policies for volume are set carefully. Improper setting can take down the volume. use these when u are falling short of backup window and very aggressive RPOs and RTOs. Mostly we use netapp backup technology to meet backup window. These are really useful when you have lots to backup in short time. The solution has the capability to store a ton of information. Very difficult to access, sort and/or filter the data. "Excellent tool. Eases my VLDB backups to seconds"
Snapshot backup can replace the traditional ones. Excellent for VLDBs. Cannot run multiple threads at a time. Need to compare the backup time of all instances on a node to avoid job failures. Easy fast and reliable backups. SQL snap restore when many we have many mount points and databases is very slow. The GUI is very slow that sometimes the whole system gets struck. We cannot restore a DB backup on a different system unless the original storage is connected. Creating clones for everyday testing of applications is more helpful. Snap mirror and snap vault are two of the more mature and reliable recovery solutions in the storage market. MetroCluster is still a ways off, but improving. Virtualization of data environment. Common platform for all backups. Quick recovery. Backips are super fast because of netapps superior snapshot technology. DR is simple with snapshot replication. SQL snap manager product is buggy and not reliable. Business continuity and quick dr due is achieved with this product. The ability to integrate with VMware and grow volumes as well as restore VMs is a huge plus. Great stuff! At least try a POC! I like having one vendor provide support for all my storage needs. The interface could be a little easier to work with. It took us a while to master the interface. Like I mentioned before, I feel more at ease having just one source. "I am currently usinf netapp as additional storage for our vm enviroment and pst backups"
Learning about NetApp Backup and Recovery? * We monitor all NetApp Backup and Recovery reviews to prevent fraudulent reviews and keep review quality high. We do not post reviews by company employees or direct competitors. Validated reviews require the user to submit a screenshot of the product containing their user ID, in order to verify a user is an actual user of the product. Hi there! Are you looking to implement a solution like NetApp?